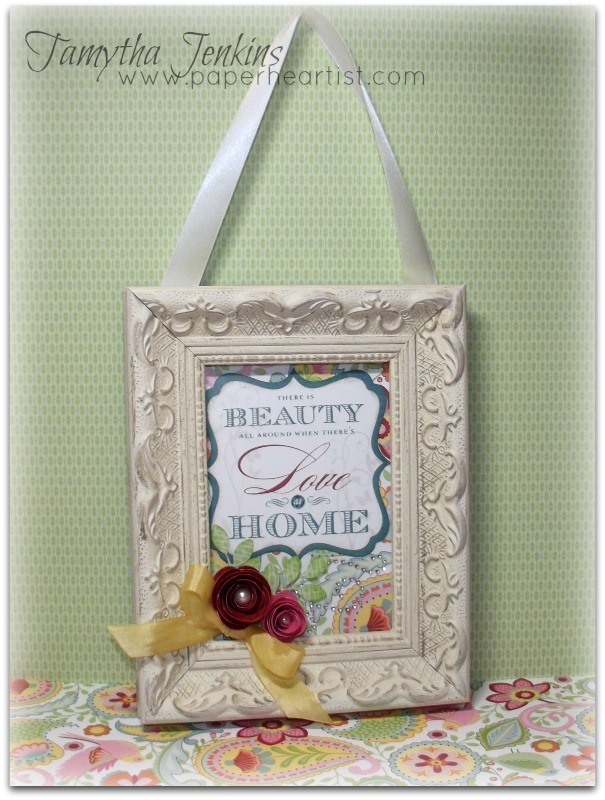 The challenge this week is to create a Home Decor project. It's something that I definitely don't do enough of, so challenges like this is a perfect way to push me a little beyond my "norm". I really don't have an excuse, because Close To My Heart makes it so easy. Like the new Hinged Display Tray, 6x6 Canvas Display, and Canvas Art Workshop-on-the-Go Kit, as well as some tried and true products like the 12x12 Display Tray, the MyCreations Star, Bracket Frame and Collage Cubes. The past home decor workshops are still available on my website, like the Scroll Album Kit, Advent Calendar and Spellbound Cricut Kit, though these will only be available on a 'while quantities last' basis. When deciding on what to make, I decided to go with my alternate Stamp of the Month project. This month's SOTM lends itself so well to home decor, don't you think? So I took a frame that I've had hanging empty in my craft room...yes...hanging AND empty...and chose to use it to frame one of the sayings in the SOTM set. I then embellished it with a mat, flowers and leaves from the Cricut Art Philosophy cartridge. I used the Hello Tweety stamp set with second generation Whisper ink to add some interest to the White Daisy. Gotta love the color-ready seam binding ribbon! 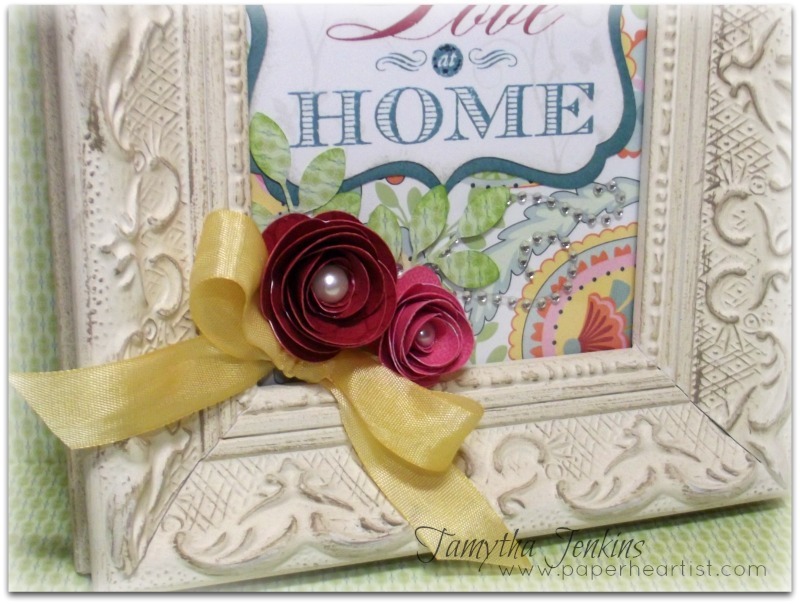 I created my own color ribbon by simply adding Buttercup ink to the ribbon with a sponge. Doesn't get easier than that. Also, I stamped the new Distressed Background on the flowers before rolling them. 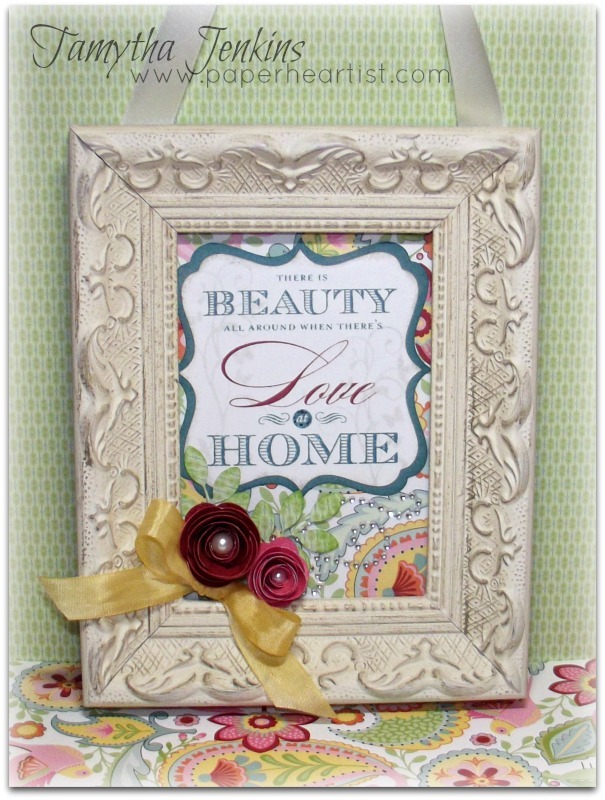 Your framed decor is so pretty! I love how you stamped and embellished it, plus I think Chantilly is my favorite new paper pack. Luv the frame Tamytha....you should push yourself more often! You definitely have hidden talents besides your amazing scrapbooking skills!